Looking for a solution to play media on your TV? Then you've come to the right place! Of course you already have a few things and googled you encountered Android media players, but by the choice you see the trees for the forest anymore. We want to make it like a little easier, so you can choose the best media player for you. With an Android media player (also called android stick or androidbox) you music, photos and videos / streaming to your TV. The Android media player is easy to connect via an HDMI cable to your TV, and you can play all kinds of media. For example, from a USB stick, memory card or an external hard drive. Also the playback from a NAS, smartphone or laptop / PC as possible by using DLNA. 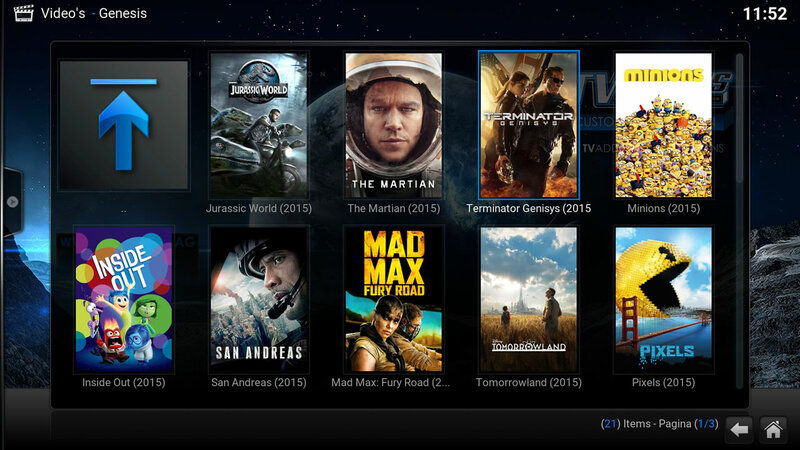 Because our players run on Android, it is also possible to use Kodi. With this program you can free the latest movies and series. Later we dive deeper into Kodi. With an Android media player you can stream media from your home network. Are you in possession of a NAS, laptop, PC or smartphone with a large collection of movies or music, connect the Android media player to the network and can easily stream your media to your TV. Archos and Kodi are two apps that make this easy. 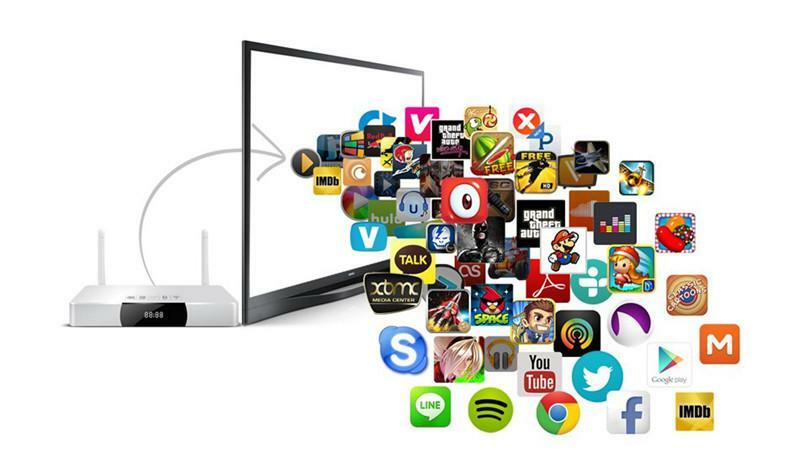 By default there is also installed an app that ensures your media to your TV can stream. Of course, there are some points that you should note. If you prefer to minimize cables in your home? It is wise to opt for a stick or android androidbox with good Wi-Fi connection. Our advice is: The heavier the use, the better should be the reception. so get your movies with high bandwidth streaming over a long distance, choose a media player with a powerful external antenna. Are you close to your router and you believe that you are going to stream large files? Then an android without stick antenna might be suitable for you. A wired connection is still the most stable. This is because there is no interference can occur from neighbors or other devices. Via Ethernet gives you the most out of your Internet connection. Would you like to use here, opt for an Android media player with an Ethernet connection, or use one of our Ethernet adapters. It is also possible to use streaming services such as Youtube, Kodi, Showbox etc. To do so you do not files themselves needed and can easily stream media from the Internet. Especially Kodi's worth it to use. This program makes it possible to watch the latest movies and series without being tied to a subscription such as is the case with Netflix. Kodi has more and newer media than Netflix. It is similar to popcorn time, only better. We can Kodi to install a large number of addons, addons make sure that you can watch movies and series. We put up with Dutch subtitles all in Dutch. Some popular addons we install include: Genesis, Phoenix, 1Channel, Iceflims, Sports Devil, Salts. Do you subscribe to Netflix? Then an Android media player something for you! Unfortunately, Netflix is ​​not yet available in HD on Android. Like this a flaw? We recommend a Windows TV Box to be taken. These may Netflix smooth playback in Full HD. We also have media players that run on Windows and Android. This gives you the best of two worlds together! Social media apps like Facebook, Instagram, Twitter, etc. Music apps like Spotify, SoundCloud, etc. Simple games like Clash of Clans, Angry Birds, Fruit Ninja, etc. Heavy games such as Modern Combat, Need for Speed, GTA etc.